The application of science and technology has become a part of our daily life’s, and while we may not intentionally take them for granted, they help sustain our lifestyles. Individuals like our physicians help us manage our health, but also reinforce security when we are down or scared. Doctors day is coming-up, and what better way to thank them with a gift for helping you stay healthy year round. Personalized gifts, for personalized medical attention. A personalized gift is an excellent way to show your appreciation, for taking their time to get to know you on an individual and personal level. It’s not an easy road to this occupation, which has innovated the science and medical field since its inception. Doctors’ have continued to help millions of people avoid common ailments, which in the past would have been life threatening. For this reason, Doctor’s day was introduced to honor physicians, and to raise awareness of an occupation that is in need of more growth. Day-to-day healing may be routine for doctors, but it shouldn’t go unnoticed. 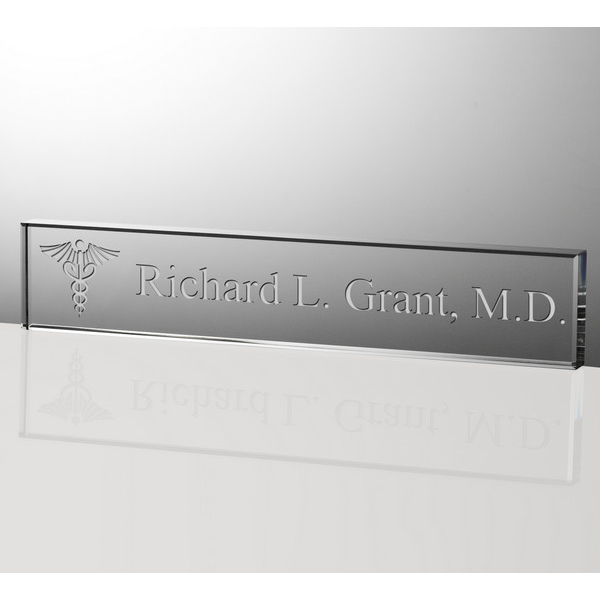 Give a doctor a beautiful gift that will fill their office with a great reminder, of the terrific job they are doing. Here, are a few personalized gifts for doctors that can be personalized to express your gratitude. What do doctors do with all their books? Usually they’ll have them at home or in their office, but where ever they may be it’s always nice to have them in a presentable format. A bookshelf can describe a doctors style, and it’s the first thing patients, family and friends see. It’s an insight into their vast amount of knowledge, and it definitely makes an impression. 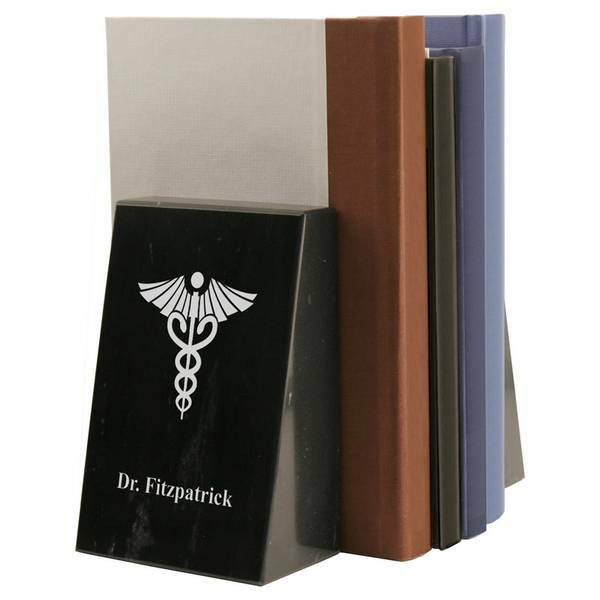 This beautiful black marble caduceus bookend will not only add a personal touch, but an elegant display to any office or home. 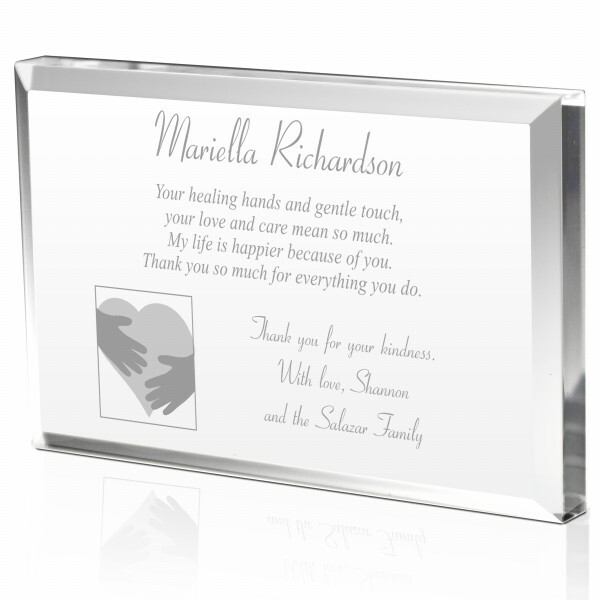 For a heartfelt gift that is more personal, and has more imagery to describe your feelings, go with this heartfelt thank you plaque. It uses engraving technology to visually etch a symbolic heart being held up by comforting hands. This gift that can also be used as a paperweight, and it is a great addition to the office. Doctor’s acquire many thank you cards from their older to youngest patients, and throwing them away is not easy, but this lovely keepsake box changes everything. They can now be stored away in this box that can accommodate drawings from their smaller patients. Up to two lines can be personalized, so feel free to express your thanks in the best way you know, from your heart. It’s a must for every doctor to have their own personalized name plate. This gift is not only a gorgeous piece, but a great ice breaker when it sits on a desk, great for getting to know new patients. It’s a clean design that works with any color, and any type of office style, which is why it’s one of our top gifts for doctors. It’s also a favorite among recent medical school graduates. 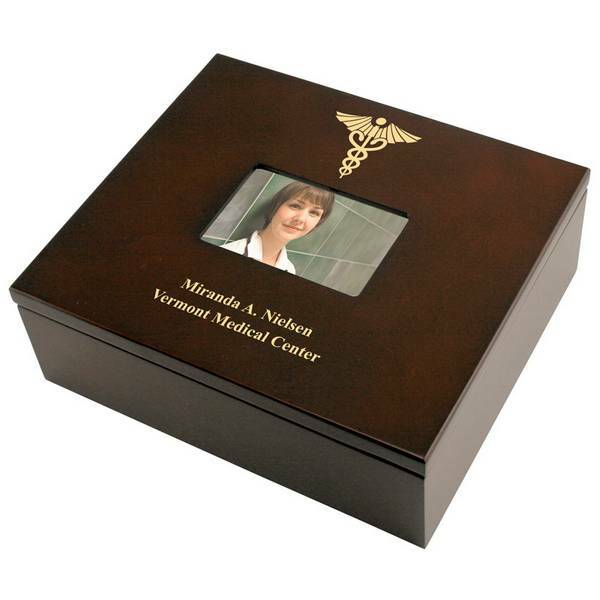 Crystal and glass gifts aren’t the only items we specialize in for doctors, but wooden keepsakes as well. A personalized plaque not only acts as a great award to give, but a beautiful way to present your personal message. 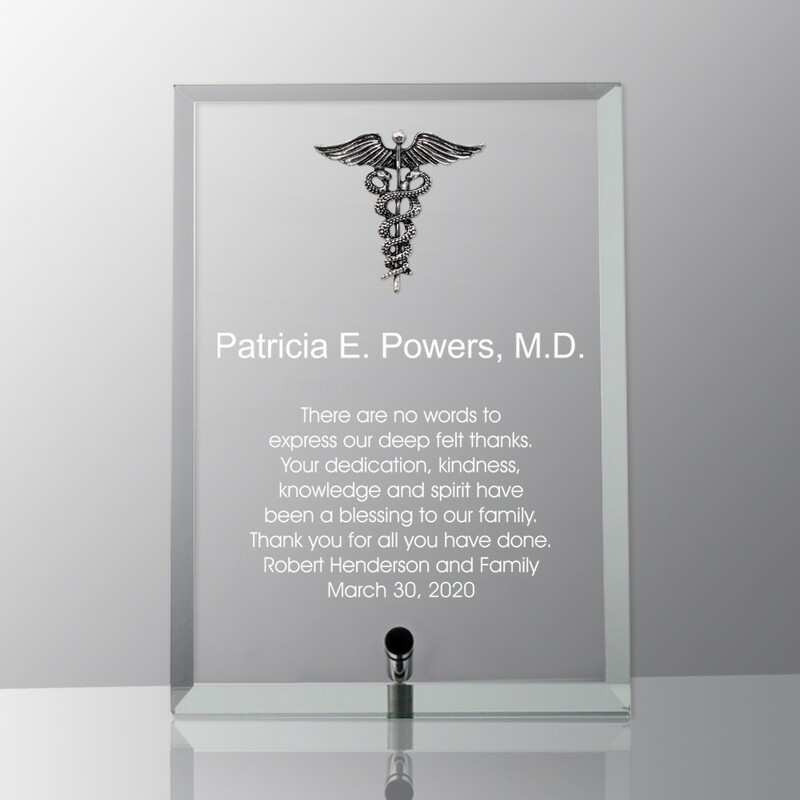 This personalized glass plaque for doctor’s is made from jade glass and stands on a metal stand, which gives it a modern leaning look. A great stand alone item for a desk or bookshelf. Personalize it anyway you like, but keep in mind that the caduceus ties the plaque together. Picking a gift for a doctor is not easy, but this guide should help you find the perfect gift for the doctor in your life, and one within in your budget. Gifts are arranged from best sellers to most favorited, but if you want more information just click on the image to view more. It’s the thought that counts, give a gift in return this doctors day, and remember that we are just a call away if you need help.